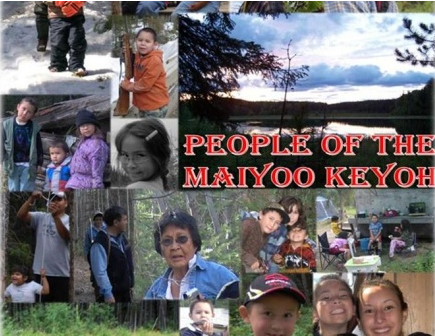 The Maiyoo Keyoh is a hereditary Indigenous group of people. As a long standing hereditary community, we have a strong attachment to the land and its governance. We are a constitutional beneficiary under s. 35 of the Constitution Act 1982. We have very strong evidence and a very strong claim for Aboriginal title to our keyoh territory. We have always been and continue to be the keepers of the Indigenous traditions and governance over our keyoh territory. For us, our traditions and indigenous land laws are clear, Aboriginal title is held not at a nation level, but by each keyoh individually, as smaller Indigenous collectives or groups. A decision on this case is expected to hold importance for many groups asserting rights protected under s.35 of the Constitution Act 1982 and will impact civil rights such as the right to sell or harvest resources for personal uses, self-government and the right to trade. Admittedly, statutory creations overlap with some of our membership. But Indian Act bands, like Nak’azdli are not the historic governance structure and title holders according to our Indigenous laws and customs, nor do they have a mandate to represent us. Only keyohs, such as the Maiyoo Keyoh have the “inherent” right to self-government. Contrary to the honour of the Crown, Federal and Provincial governments favour of their colonial statutory Indian Act Bands and against our Indigenous system of governance and their Duty to Consult, and their duty to reconcile Aboriginal title. We are left with one option, to file a costly Aboriginal title claim through the courts. First of all, I know I am part of the land.